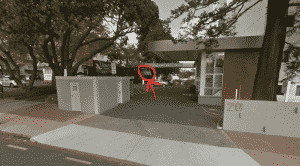 Location: Quality Hotel Parnell, 10-20 Gladstone Road, Parnell, Auckland. Please register before the 22nd April 2016. Join Peter Grice of Rethinking Hell for a lively survey of major biblical themes and their connection to conditional immortality. Once this doctrine is revealed as a foundational theme in its own right, bringing significant clarity and unity to the Christian message, the presentation will move into a discussion of its relative success and critical importance at this point in history. Finally, Peter will outline some of the ways in which the recovery of conditionalism must continue to revitalize global Christianity. Peter Grice is the founder of Rethinking Hell and Rethinking Heaven, and a director of the Foundation for Evangelical Dialogue. An author and speaker in the areas of Christian apologetics, worldview, and biblical eschatology. Peter has contributed to the books True Reason: Confronting the Irrationality of the New Atheism (Kregel 2013), Rethinking Hell! : Readings in Evangelical Conditionalism (Wipf & Stock 2014), and A Consuming Passion: Essays on Hell and Immortality in Honor of Edward Fudge (Pickwick 2015). He currently resides in Brisbane, Australia, with his wife Anchalee and son Lewis. We meet in the conference rooms located on the left hand side of the complex( as you come in from the street). Photo above has Conference Rooms sign circled in red. As you go up the stairs you will find a notice board telling which conference room we are meeting in. The cost is $35 for the whole event (AGM, lunch and speaker).